There’s no denying the Maldives is an idyllic summer destination for those who just want to lie on a beach and catch the rays. 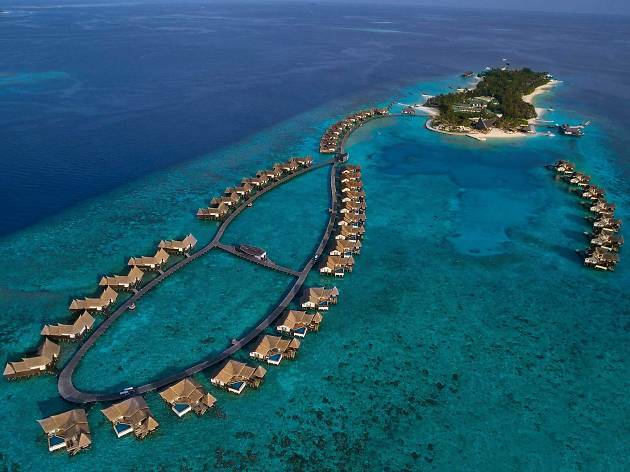 The pristine sands, the turquoise waters, the kaleidoscope of coral reefs and, of course, the luxury over-water villas make for the perfect break, which is best done as a couple or just on your own, right? Wrong. 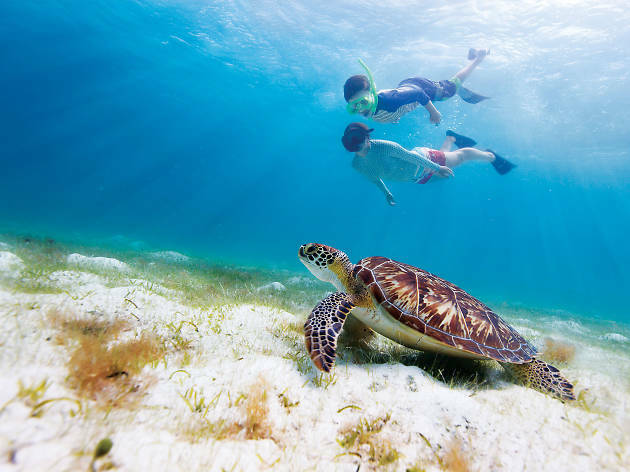 This island utopia in the Indian Ocean is equally perfect for families. There’s tons for the little ones to do. Much more than just building sandcastles. 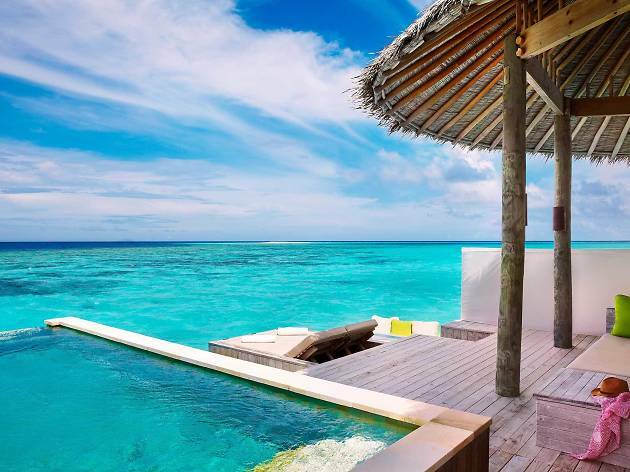 The Maldives is the lowest country in the world, with the average natural ground level sitting between only one-and-a-half and three metres above sea level. 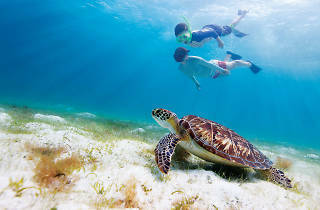 Also, more than 80 percent of the country’s terrain is made up of coral islands, which makes for calm seas where the reef breaks the oceanic tides. And this all means that a snorkelling heaven awaits. However – and there’s no way to sugarcoat this – the coral reefs have been experiencing the worst case of bleaching in history, due to those times when the water is too warm. Luckily, though, Falhumaafushi, in the Gaafu Alifu Atoll, has escaped much of the damage, meaning that there’s plenty of breathtaking colour to explore beneath the waves. The water villas on the western side of The Residence luxury beachfront hotel (Falhumaafushi, Gaafu Alifu Atoll, +960 682 0088; theresidence.com) are actually built right on the cusp of the reef, so the snorkelling can be done from your own deck. You literally leave your back door, drop down into the water and you’re there, exploring the area. There’s an abundance of manta rays and sea turtles skirting around here. It’s commonplace to spot up to a dozen of these at a time by merely snorkelling along the reef cliff. Not only will the little ones be in awe but it can also inspire them to learn about these sea creatures as well. Adults love fishing. Kids love fishing. Everyone loves fishing. And fishing with the kids in the Maldives is a must. Dubbed one of the ‘fishiest’ places on Earth due to the diversity of marine life and its role in the local culture, fishing is as big as tourism in the Maldives. Since the livelihood of the community depends so much on the sustainability of the oceanic stocks, the Maldivian government has developed strict regulations on angling that are widely enforced. This rules out all forms of aggressive fishing which uses dynamite, guns or poison. And the fishing of sharks is also, thankfully, prohibited. But fishing with a rod out on a boat is permitted. The sport teaches children patience, brings them closer to nature and, most of all, provides much-needed bonding time between parent and child. 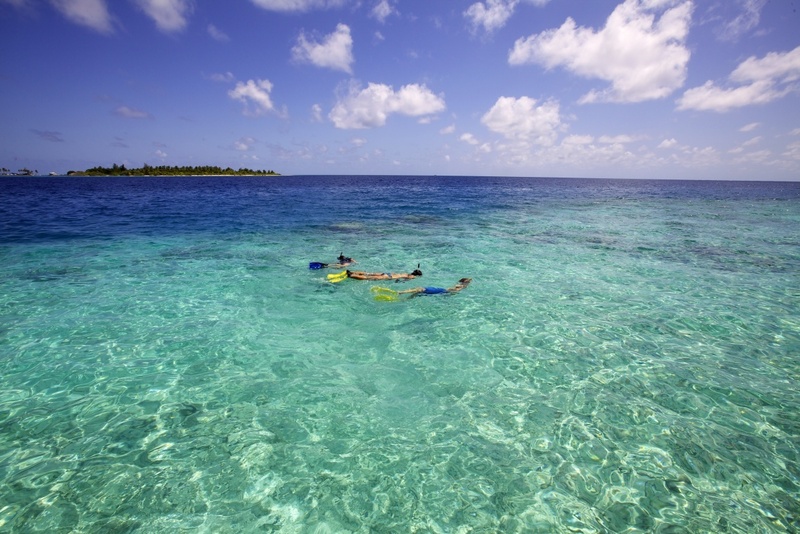 And the Maldives is one of the best places in the world to introduce your sprog to the pastime. Most resorts want to protect their house reefs, so no shore fishing is allowed unless explicitly permitted by the management. But many hotels have boats that can take you and the kids out deep sea fishing. The Addu Atoll is touted as one of the best for dropping a line. 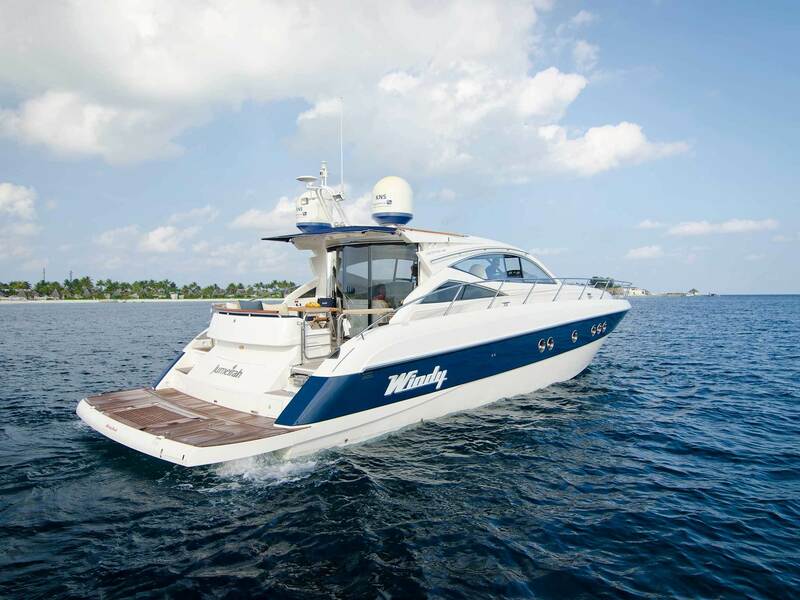 The Canareef Resort Maldives (Addu City, Addu Atoll, +960 689 6677; canareef.com) is recommended but if you’re staying somewhere else then check out the fishing charters (fishingbooker.com) that can take you out to the really special angling spots. But be sure to check with your resort as to whether it allows for third party charters to rock up to your hotel and take you out as different rules apply to each. If your sprogs love to cook up a storm then classes are the way to go, particularly if you’re keen for them to learn about local ingredients and techniques at the same time. Also, by engaging them in a few classes, they can learn about the Maldivian culture and local cuisines, which include a mix of Arabic, Indian, Sri Lankan and Oriental influences. 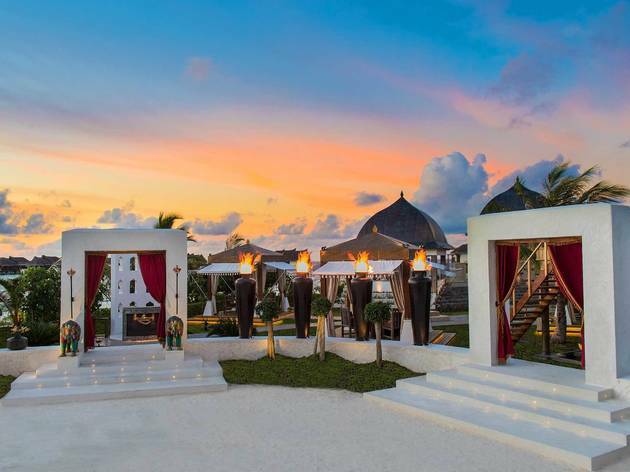 The best place to sign up for classes is Jumeirah Vittaveli’s Swarna restaurant (Bolifushi, South Malé Atoll, +960 664 2020; jumeirah.com), a fab Indian eatery which won a prize for serving up the Best Indian Cuisine in Asia at the World Luxury Restaurant Awards last month. The archipelago is almost 99 percent sea, so it’s a no-brainer that fish – in particular, tuna – is the most important staple of the local diet. So cooking fish is central to the classes at Swarna. But there are also chances to create scrumptious Maldivian, Sri Lankan and Indian curries, as well as salads and other local dishes. What also sets the classes apart from the competitors is the location. Perched on the northern tip of the island, Swarna is an open-plan restaurant where you dine in private canopies under the stars. 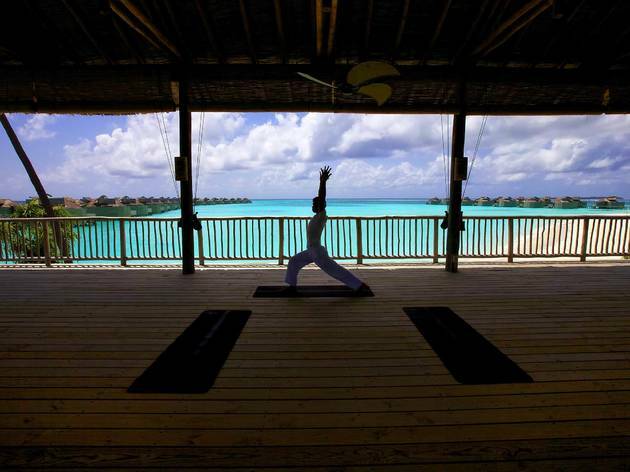 The kitchen, where the classes take place, is panelled with glass, giving panoramic views of the Indian Ocean. Basically, your kids get a great view while they’re learning and you can get a great view of them while they’re practicing for MasterChef Junior. Yoga isn’t just for the big kids, you know. It’s all about maintaining a healthy balance between your body and your mind, so that couldn’t hurt the little monsters, could it? 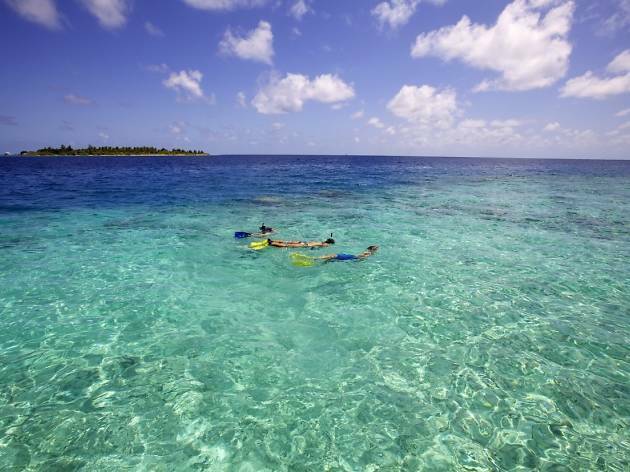 And where else in the world would you want your family to leave their worries behind than on a holiday in the Maldives? 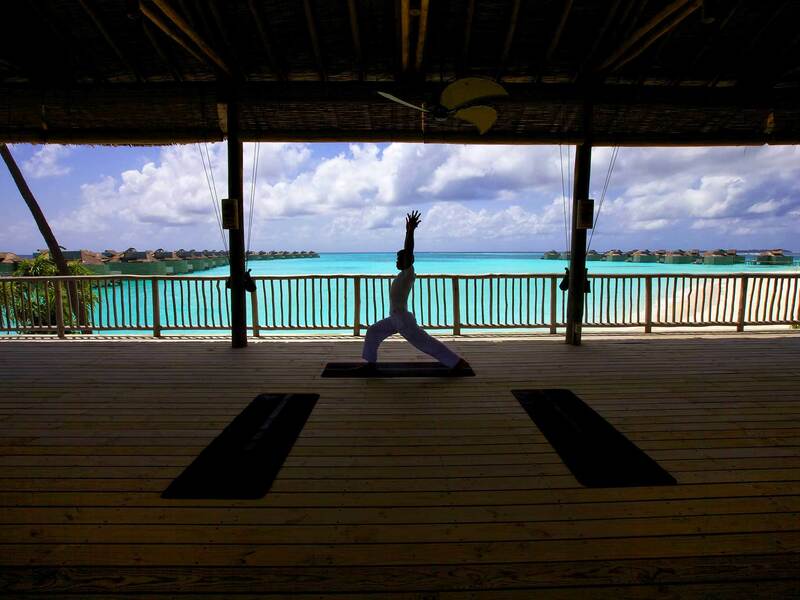 Whether you want your children to begin to learn the daily practices of relaxation with teachers on their own or you’re looking for family activities to do together, the yoga deck at Six Senses Laamu (Laamu Atoll, +960 680 0800; sixsenses.com) is an ideal location to start. A yoga instructor here specially designs classes for children, during which the youngsters are taught some basic poses and techniques. For some special bonding time, families can also reserve private sessions with bespoke activities that are tailored to the ages of your kids. Do all this to the soothing sound of the ocean waves and the scent of the sea breeze. Namaste! The calm Maldivian seas are ideal for anklebiters who dig watersports. And kayaking is one of the best ways for them to do a little exercise and a lot of exploring. A two-person kayak is great for a kid and a parent, so you can keep tabs on your child while participating in the activity at the same time. It’s fun for both of you to explore the islands as a team. 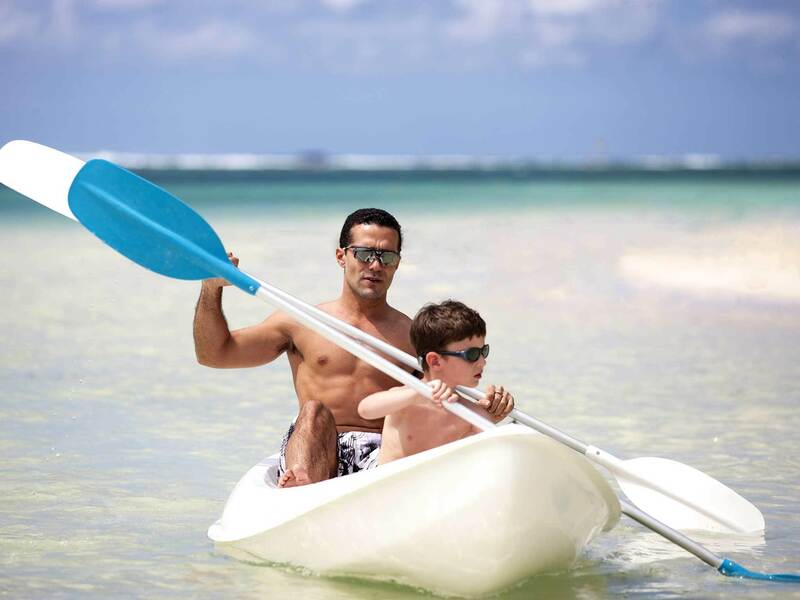 Most resorts offer non-motorised sports equipment for free, such as at Kuredu Island Resort & Spa (Kuredu Island, Lhaviyani Atoll, +960 662 0337; kuredu.com), but do check what your own hotel offers beforehand. The only airline that flies directly from Hong Kong to the Maldivian capital, Malé, is Cathay Pacific. Taking flight three times a week, departure times from our city are in the afternoon, arriving at 8.45pm in the Maldives. The six-and-a-half hour flight costs from $7,144 (inc tax) for a return. If you’re taking a direct flight, then you arrive in the evening. And unless you’re staying at a resort within a boat ride of Malé, another connecting flight to your destination island in the middle of the night is hardly appealing, especially with jet-lagged kids in tow. 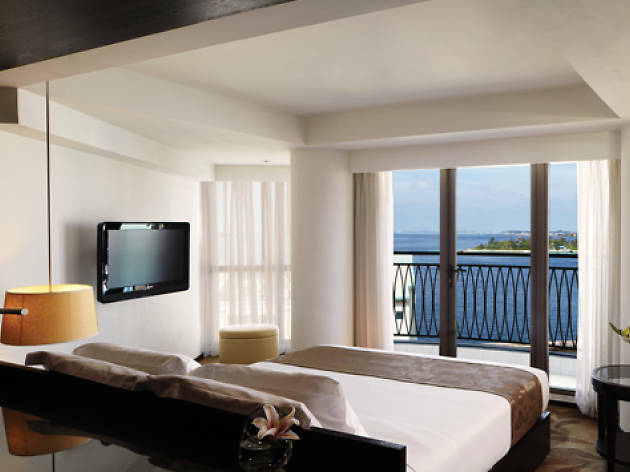 So, only a seven-minute ferry ride from the airport, take a breather at Hotel Jen Malé (Ameer Ahmed Magu, Malé, +960 330 0888; hoteljen.com) for the night at $2,532 (inc tax) for a family of four before you take another flight back at the airport to the island resorts next day. We recommend the fab Six Senses Laamu (Laamu Atoll, +960 680 0800; sixsenses.com) as a great resort to stay at with the kids. Rooms start at $5,830 (inc tax) a night for a family of four.